Busted for pot before it was legal? The governor wants to set things straight. People with marijuana misdemeanor convictions in Washington state could get a pardon under Gov. Jay Inslee's Marijuana Justice Initiative, the governor announced last week. The plan only applies to people who have an otherwise clean criminal record but were convicted of a marijuana misdemeanor between Jan. 1, 1998 and Dec. 5, 2012. As many as 3,500 could be eligible for the pardon, the Governor's Office states. The initiative aims to remove burdens on Washington residents who have been penalized for something that is now legal. "For decades, people have faced criminal prosecution for behavior that is no longer considered a crime in Washington. Inslee believes that forgiving these convictions will allow people to move on with their lives without these convictions causing additional burdens on people, their families, their employers and their communities," the governor's initiative states. "This is a small step, but one that moves us in the direction of correcting injustices that disproportionately affected communities of color. A successful pardon of a marijuana possession conviction can assist with barriers to housing, employment and education." Similar bills have been enacted in six other states that have legalized marijuana around the country. Most recently, California enacted legislation in late 2018 that could expunge hundreds of thousands of marijuana convictions, according to the National Organization of the Reform of Marijuana Laws, or NORML. "Branding these individuals, many of whom are at an age when they are just beginning their professional careers, as lifelong criminals results in a litany of lost opportunities including the potential loss of employment, housing, voting rights, professional licensing and student aid and serves no legitimate societal purpose," NORML Deputy Director Paul Armentano says in a release about the governor's pardon initiative. "It makes no sense to continue to punish people for actions that are no longer considered to be criminal in nature." 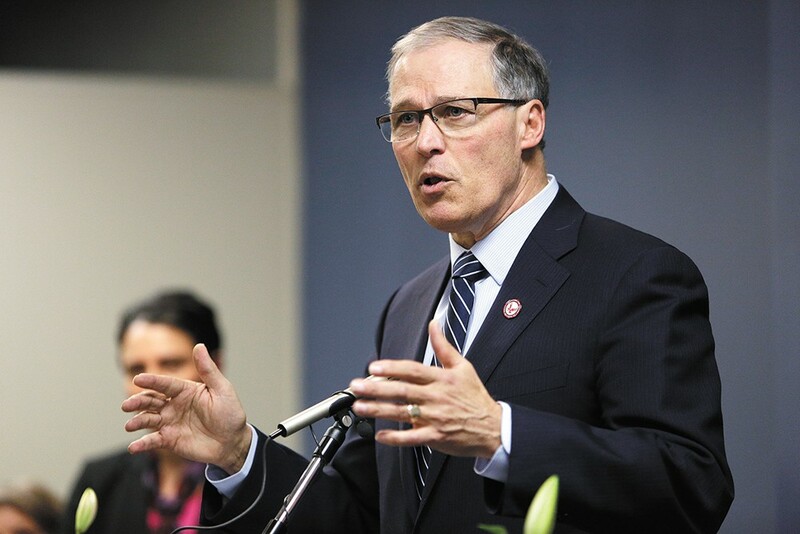 The news about Inslee's push to pardon past marijuana convictions also follows national stories about the governor's ambitions as a potential candidate for the 2020 presidential campaign. Are you or someone you know eligible for a pardon? Visit governor.wa.gov/marijuanajustice to fill out the application. The original print version of this article was headlined "Pardon Me"